In recent years, clear braces have become a preferred form of orthodontic treatment for many patients. At Southridge Dental, Dr. Byronn Hahn can help you select the right orthodontic plan that addresses both your dental needs and aesthetic concerns. Unlike traditional braces, clear braces offer patients a practically invisible way to receive orthodontic treatment. Many of our patients find clear braces to be a flexible and comfortable alternative to traditional metal braces, yielding equally beautiful results. When selecting clear braces, patients have options. At Southridge Dental, we offer Invisalign® and ClearCorrect®. Invisalign® uses custom fit aligners to gradually straighten misaligned teeth. Movement takes place over the course of 20-29 sets of aligners, during which patients wear the trays for 22 hours a day. Following treatment, Invisalign® patients wear a retainer to maintain new alignment. Like Invisalign®, ClearCorrect® uses aligning trays that slowly change the position of your teeth. However, rather than receiving your treatment plan and aligning trays all at once, ClearCorrect® aligners are fabricated based on the progress of your treatment. This method allows the treatment plan to accommodate unforeseen changes, like stubborn teeth that may not move on schedule or teeth that are moving faster than expected. While the success of clear braces is largely dependent on the patient’s commitment to treatment, clear braces provide a number of benefits, from cosmetic appeal to improved oral health. ClearCorrect® aligners are practically invisible, patients can feel confident that their ongoing treatment is unnoticeable. The removable aspect of clear braces also means that maintaining oral hygiene is easy. Patients can remove the aligners before eating and replace them after thoroughly brushing and flossing their teeth. 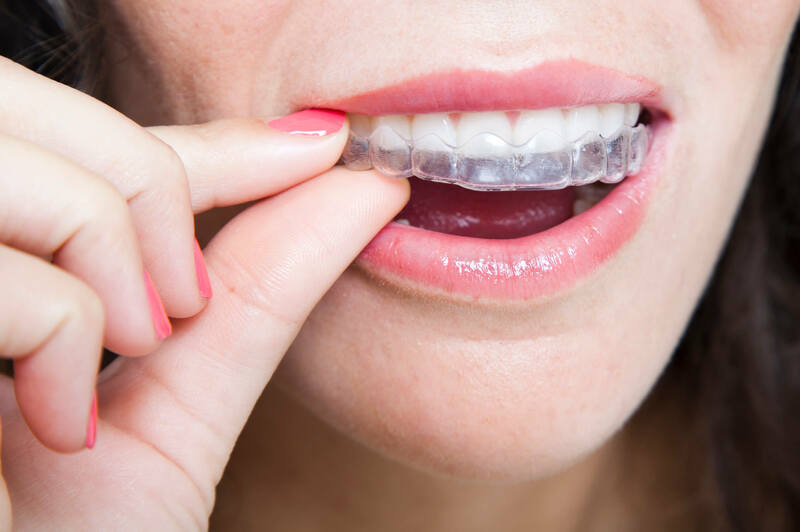 For added comfort, clear orthodontic aligners are made of a flexible thermoplastic that doesn’t irritate the soft tissues of the mouth and is easy to clean. An important consideration when deciding between clear and traditional braces is patient involvement. As clear braces are removable, patients control treatment and switch aligners at home. When you do come visit Dr. Hahn for your routine clear braces checkup, he ensures that the aligners are working correctly and according to schedule. Dr. Hahn specializes in both Invisalign® and ClearCorrect orthodontic treatments in Henderson. For more information about the benefits of straight teeth with clear braces, contact our office to schedule an orthodontic consultation today!